Tickets are going fast—get yours today! Sample the Sierra is almost sold out! We don’t want you to miss out on Lake Tahoe’s largest farm-to-fork festival this Saturday, so get your tickets online today. Early bird tickets—just $40 for full-tasting tickets and $30 for designated driver/under-21 tickets—are available here. Tickets at the gate the day of the event go up to $45/$35, but we may have limited or no tickets Saturday if the event sells out. 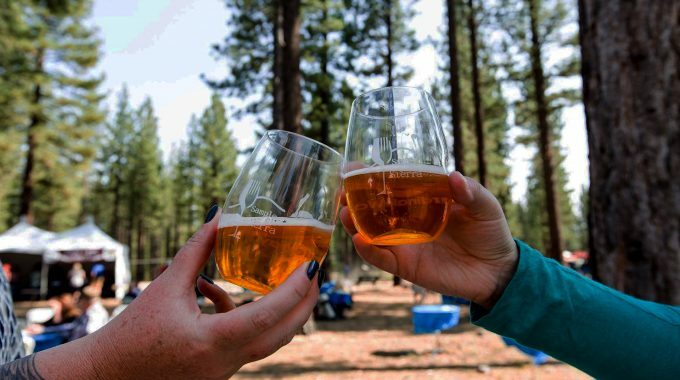 Sample the Sierra brings together the South Shore’s top eateries and locally sourced ingredients with the region’s finest breweries, wineries and spirits. The event also features live music, local artisans and craft-makers, and the annual Sierra Chef Challenge. The festival is held this Saturday from 12-5 p.m. at Bijou Community Park.